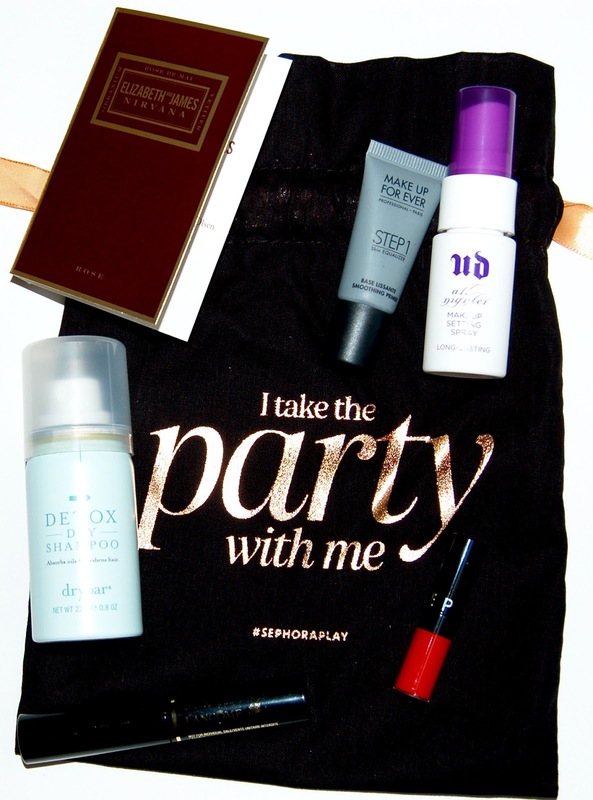 The theme for this month's box is I Take The Party With Me. I have the full size of this primer so I already know that I really like it. This would have been a great sample to try if I didn't already have it so I can appreciate that it was in this month's box. 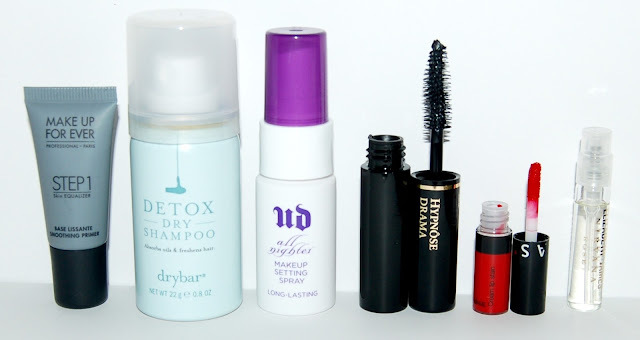 I have a full size of this mascara and I really like. It's pretty much dried out so I'm glad to have a sample of it to use again. I don't personally use dry shampoo but I can appreciate that we got a Drybar product in our box this month. Another product that I already own and know that I love. I'll definitely use this sample. This perfume has notes of rose, geranium and vetiver (I don't have any idea what that is!). I honestly really don't like this scent so I'll be passing this along. 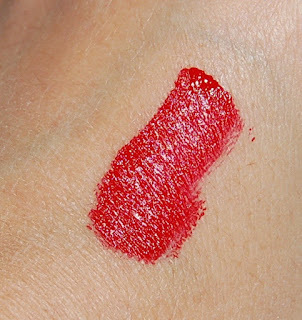 This is an absolutely gorgeous red lip stain that dries matte but isn't the least bit drying. Overall, this month's Play! By Sephora box was decent. It's my own fault that I already own 3 of the products in this box. That said, since they are favorites of mine, I was still happy to receive sample sizes of them.